Range Rover Evoque 2019 first drive – good enough to stay on top? 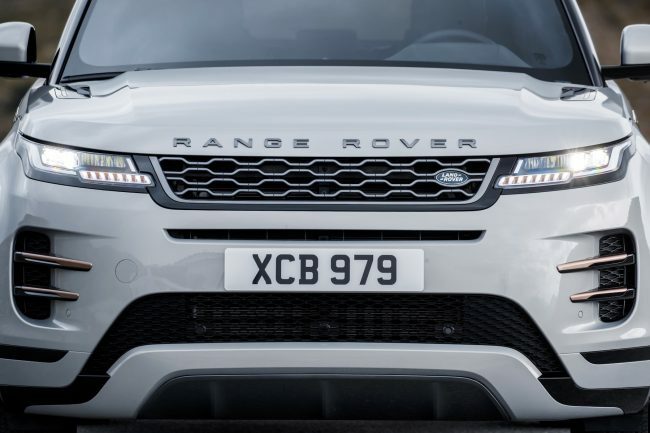 The outgoing Range Rover Evoque was a huge success for Land Rover – so clearly, replacing it successfully is vitally important for the company. Does the second-generation L551 measure up? We think it smashes it out of the park. The 2019 Range Rover Evoque is a make-or-break car for Land Rover. Okay, so the company won’t go bankrupt if this one doesn’t attract a lot of new customers – but, in a rough couple of years for the company, to see this one fly out of the showrooms would be very good news indeed. The new Evoque has a lot to live up to – the old one was a multi-award winner (not least picking up the 2012 AROnline Car of the Year Award), and sold like hotcakes, finding more than 750,000 new homes. That’s clearly why Land Rover has elected to make this all-new model look very similar to what came before it. 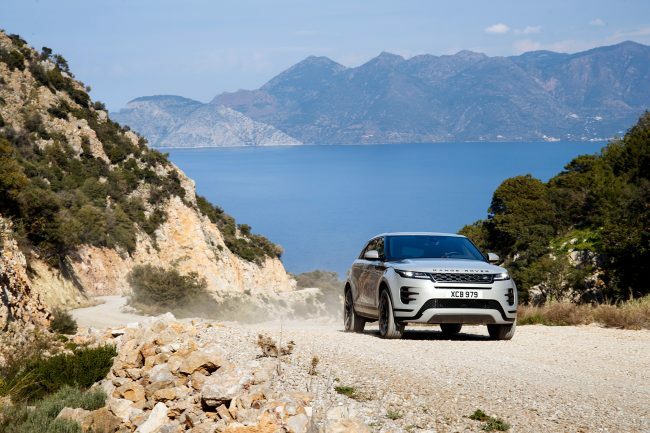 There are plenty of reasons why the new Evoque looks like an outgoing model which has been peppered with details from the Range Rover Velar – both cars sell and, in the case of the Evoque, it’s still hugely popular with first-timers to the marque. What’s new about the 2019 Range Rover Evoque? Nearly all of it – the old car’s ageing kit has been replaced by cutting-edge tech, with an emphasis on driver aids and drivetrain efficiency. The original Evoque arguably helped accelerate Land Rover’s move into financial health in 2011 and its resultant success. 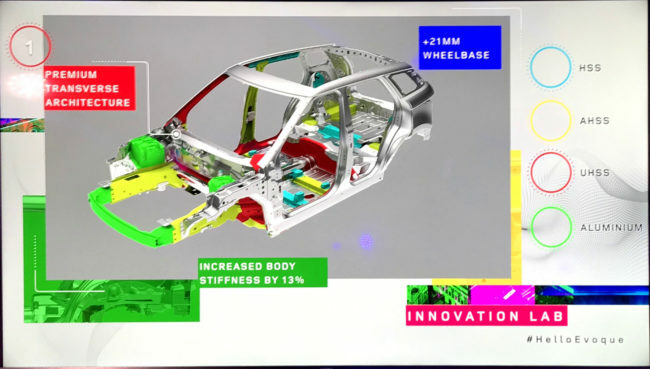 Can Land Rover’s high tech follow up have the sale impression? 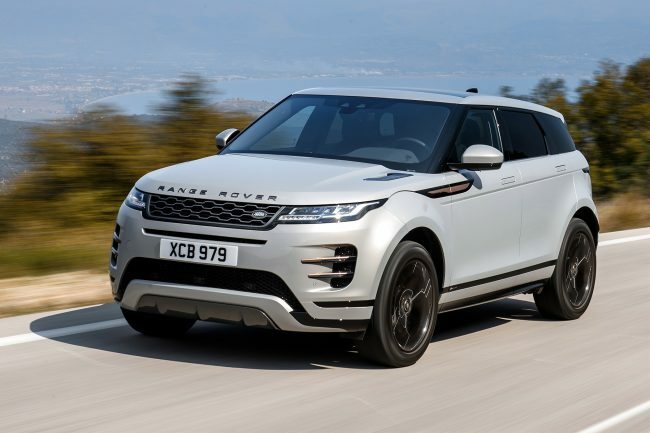 Although the new Range Rover Evoque has a similar footprint to the old model, its underpinnings are all-new and more space-efficient, able to accept electrification of the engine options. Under the bonnet, there have been changes, although all are still powered – for now – by Jaguar Land Rover’s Ingenium range of petrol and diesel engines. At launch, 2.0-litre engines of both varieties will be available, all with automatic transmissions, barring the entry-level front-wheel-drive 148bhp diesel, which has a manual gearbox. The most interesting development is a new 48-volt mild hybrid (MHEV) system, which is fitted to all the automatic models. This is used to recover braking energy, which is stored in a battery to use for low-speed driving and to boost performance when accelerating. Late in 2019, a plug-in hybrid with a three-cylinder petrol engine and a larger capacity battery will also be available. What’s new about the 2019 Range Rover Evoque’s styling? 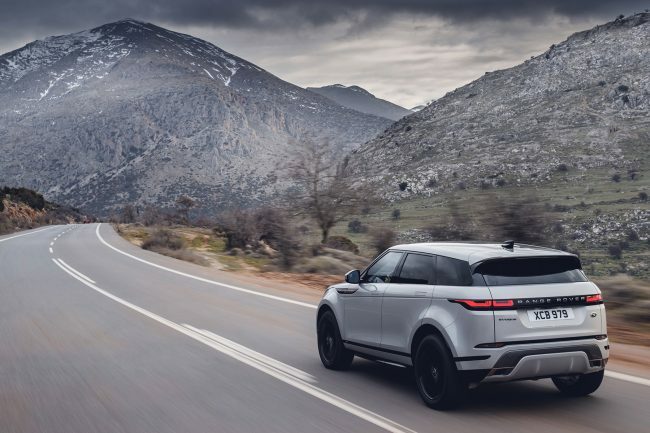 Quite a lot… First thing’s first: despite looking like an outgoing Evoque with a Velar front and rear end, this is a brand spanking new model. So has Land Rover made a mistake making its smallest Range Rover look barely any different from before? Land Rover knows what it’s doing. That it’s a careful, measured evolution of the old Range Rover Evoque is a very deliberate strategy: it will continue to attract new buyers who were wowed by the desirability of the original, without making existing customers feel hopelessly outdated with an SUV packing a design stuck in the early 2010s. The family look begins with the Range Rover Velar-style matrix LED headlamps and elongated tail lights, which split the tailgate. There’s also the controversial pop-out door handles, which debuted on the Velar, and still divide enthusiasts, who say it’s a case of style over substance. There wasn’t a lot wrong with the way the old Evoque drove, but it wasn’t perfect, being blighted by indifferent ride quality especially. Yes, it handled keenly, but this is probably not what its customers want anyway. The new one sets out to banish its dynamic shortfalls, and does so by maintaining the old car’s agility, B-road capability and ability to fight off understeer when driven progressively. In short, it handles, brakes and steers brilliantly considering its bulk – and, if we were to pick out one astounding achievement of the new car, we’d namecheck its ride and handling. Another major area of improvement is the ride quality, which is notably softer than before. It’s still reasonably firm, and some would say favouring handling over ride, but it’s also well damped (our car’s fitted with optional adaptive dampers), and seems to get more settled the faster you go. In addition, the driver feels more isolated from the action than before, but it doesn’t seem to muddy the excellent steering and overall feedback at all. The P250 petrol model posts usefully good performance figures, with a 0-60mph time of 7.0 seconds, and a maximum speed of 143mph. In reality, it doesn’t feel that fast thanks to its civilised nature and a laggy throttle response. Its 35.8mpg official combined fuel consumption figure (WLTP) might also be difficult to match in typical conditions considering we drained three quarters of a tank in less than 150 miles. Off-road, it’s also good. And although the Evoque is unlikely to need to be the last word in mud-plugging, it’s good to know it’ll get you out of a hole when the going gets rough. So, it comes with Terrain Response 2 system which can cope with a wide variety of low-grip situations. An English day green laning would be covered effectively by the Mud and Ruts programme topped off by Hill Descent Control when the incline sharpens. We know it all works beautifully, too – don’t ask us why though. What’s the Range Rover Evoque like inside? It feels sumptuous inside with a choice of leather trim, faux suede, a woollen option and a new eucalyptus-derived textile. 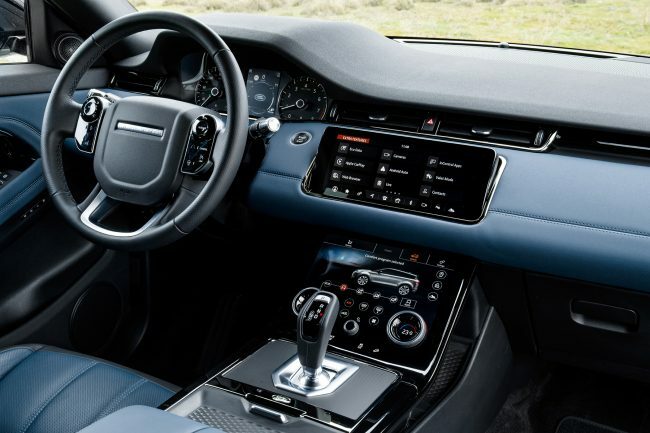 For such a high-tech cabin, Land Rover’s chosen to debut a couple of new showcase features in the new Range Rover Evoque. Called ClearSight, at the touch of a button the rear-view mirror converts into a display screen for a camera mounted at the rear – perfect if your rear seat passengers or stuff in the boot are cluttering up your view. The other is grandly titled Ground View Technology, which projects a 180-degree under-vehicle view from the front of the Evoque, making it easier to avoid kerbing wheels in tight city car parks or boulders when off-roading. There’s a significant uplift in the cabin’s quality and glamour with Velar-inspired touches, such as the pair of 10-inch touchscreens. All in all, it’s clean and uncluttered, but with so few knobs and buttons, prodding different parts of the screen to control things will take some getting used to when driving. Despite these ergonomic niggles, the Evoque ticks one very important box more effectively than its predecessor – it does make you feel special, like a baby Range Rover should. 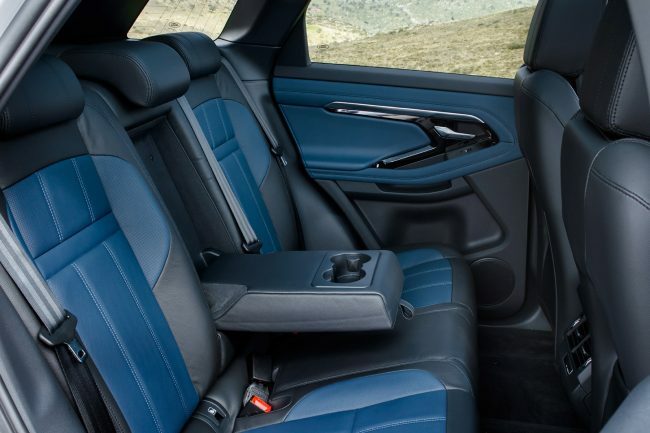 Its wheelbase has been increased by 20mm with more rear leg, head and shoulder room, while the front seats are positioned differently so that your feet have somewhere to stretch out underneath. There’s also more space in the cabin to hide all sorts of detritus, while the boot’s also around 10% larger. With all five seats in place there’s 591 litres of boot space, extending to 1383 litres when the rear bench is folded. Note that it’s a five-door only this time around – sales of the original three-door Coupe were too low to justify a replacement – as for a new Convertible, there’s no word one way or the other. That’s a real shame as Julian Thomson’s original Land Rover LRX concept was a ground-breaker, and a three-door L551 would have been a lovely link between the two. How much does the 2019 Evoque cost and when is it on sale? Trim levels follow the Land Rover formula, encompassing S, SE and HSE models, with the popular R-Dynamic versions of each, plus a special First Edition to celebrate the launch. Prices start at £31,600 for a manual D150 S version. Orders can be placed now, but there’re no deliveries until later in 2019. Now we’ve driven the new Evoque, we can say confidently that Land Rover’s talented engineering team have done a great job of improving the old car’s weaknesses, while making it more desirable inside and out. Yes, it’s a small evolution to look at, but the new Evoque packs enough tech to keep everyone happy. The arrival of the 48-volt mild-hybrid version puts it bang on the pace with its opposition, while 2020’s PHEV will add further appeal for those moving away from diesel. The big question is whether it’s good enough to fight off the opposition while generating profits, and staying try to its roots. And that’s an easy question to answer. Yes, the new Range Rover Evoque is a significant improvement over the old one – with the biggest improvements reserved for its refinement on the move and when sat inside. The material quality is so much better than before, as is mechanical refinement. And as such it’s done what Land Rover set out to do – keep the Evoque at or very near the head of the class. Would we recommend one over an Audi Q3, BMW X3 or Mercedes-Benz GLC? 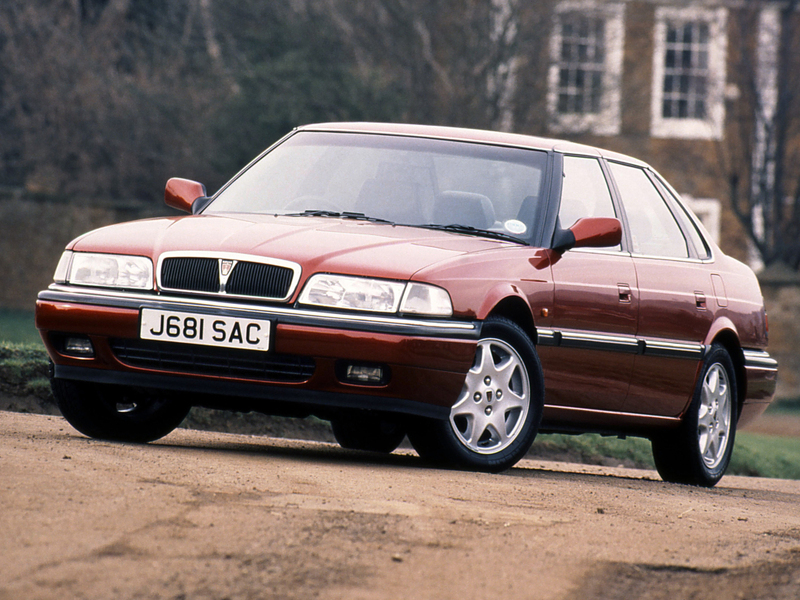 Absolutely… It’s better looking, handles with genuine joie de vivre and should prove more economical than before. In a nutshell, it’s a winner. Will it be enough to help see JLR head back into profitability? Let’s keep our collective fingers crossed on that one. The big issue they face, as much as Brexit and their high dependence on diesel, is the number of people who have bought a recent JLR product and been sent back to a German rival by appalling reliability. The desirability and image of the product persists but unless this and other products improve on recent form they’ll be in trouble. 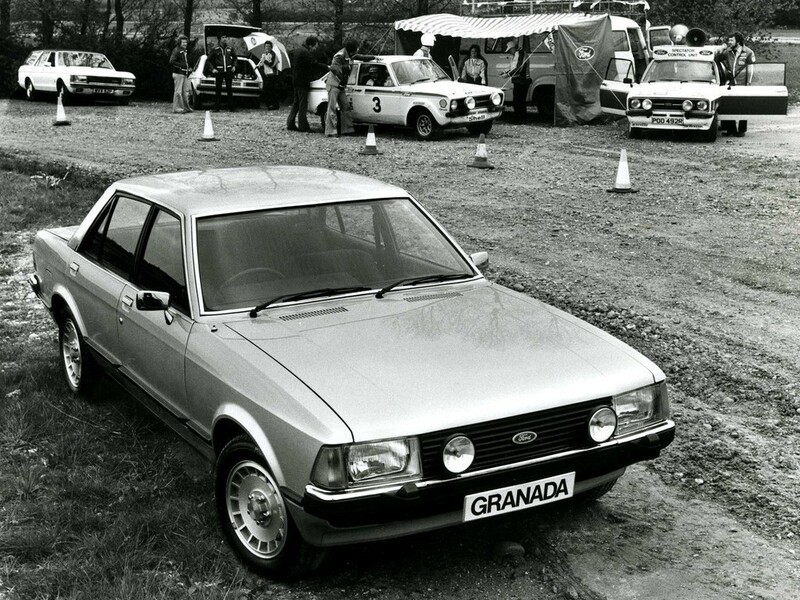 My experience of German cars is that their reliability is not “cr*p”. I also know people with JLR products who also find them fine. But lets face it a quick look at all the Bosch, ZF and Getrag logos under the bonnet of any JLR car suggests their reliability should be similar to German manufacturers! The Evoque engine range, as with all other JLR products has as many petrols as diesels – so is you comment valid? Regardless of reliability, I’ve never liked Evoques simply because of the way they look at the rear end. I assume it’s supposed to be the coupe-look, but to me, the back end appears to have started life as something better, but been squashed by a heavy weight. Umm, why do we need a 4×4 that can do 0-60 in 7 seconds? Since it doesn’t appear to have stupid amounts of power, all that means is the gearing has been biased towards performance not decent economy – global warming anyone? Going once.. I studied geology at uni and one of the subjects that often came up was ocean transgressions (rises in sea level). These are not slow events it transpires – the black sea transgression took less than 5 years and to keep your feet dry if you were on the “coast” – you’d need to walk 2km a day every away from the water just to not be swimming. If the arctic and antarctic circulatory currents fail the ice will melt and fast – a 10m world rise in sea level is possible in 24 months – and what are we concerned about? Not efficiency in our new vehicles, no we want speed. Some scientists are projecting out a 14c global temperature rise – welcome to the permo-triassic extinction. It would be bad enough in a eurobox but this is something that will be driven at 25mph flat out (and you know the choke would be permanently out too if it still had one) by school run mums. Notwithstanding that I’m very suspicious about those headlights and whether they actually produce useful light – and the cost of replacing them because you just *know* the led elements aren’t replaceable – ah the well remembered joys of the lesser spotted sealed beam headlamp but @ 30x the price and 40% less vision. Mild hybrid is good but it sounds suspiciously like the Fiat/Dodge system – which involves the word Fiat, which is bad. Please no electric version – how many times do independent engineers & ecologists have to tell car manufacturers – electric is collectively much dirtier than modern diesel & petrol – it’s called physics & materials chemistry – look it up. And OMG that back end – it looks like a satanically possessed kid with morbid obesity (think eyes are the tail lights and go from there). I have to say I’m not impressed. Then there’s the legendary reliability – as the Australians put it “If you want to go into the bush buy a Landrover, if you want to come back out again, buy a Toyota”. Look up John Cadogan on the Range Rover lawsuit on YouTube (the VW monkey & human gassing videos are worth a go too mate). Or, as one Australian explained to me when presented with this hackneyed phrase, you’ll be able to get the Toyota out again because of the ready availability of used Toyota spare parts – from those that have previously failed so expensively that they’ve been broken for parts where they’ve died. Can you provide the Peer Reviewed paper for this claim. I have seen this claim made in pseudo science papers in denialist blogs that sometimes find their way into the Daily Mail etc with this claims, but those are not Peer reviewed, and easily debunked but I have yet to see it sustained in a credible peer reviewed paper. The reality is that over the life of a vehicle, being operated in the UK (being charged on the UK generating mix) there is a substantial saving in Co2 emissions for an EV size for size. Even the pseudo science blogs struugle to make this argument of yours, even though they usually use an all Coal electricity source, for example one compared an Audi A8 diesel which achieved its best statutory economy figures throughout its life with a Tesla S which was given economy figures from a road test, the Tesla S over its life time from its manufacturer still achieved a marginally lower Co2 than the Audi A8. This is because the Tesla has such a lower energy burn than a ICE vehicle, which is sufficient to offset its greater Co2 generated in its manufacture. Good for the family? Definitely not. Rivals posh versions of the MINI. A lovely thing but not a sensible buy. I don’t like the new look, especially the sides. It’s gone from taut-looking to botox-smooth and chubby.